I love nothing - nothing! - more than a good party based on a kid's book. We had two home runs this week. 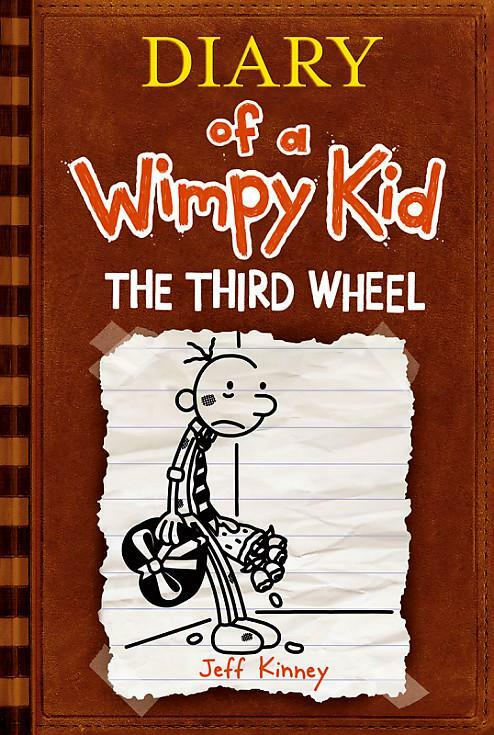 In this post, let me tell you about our latest celebration - Jeff Kinney's publication of his seventh book on 11/13/12, The Third Wheel. 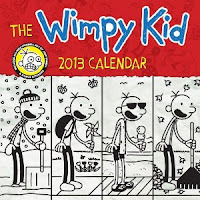 I knew it was going to be good because I lucked out and picked up a 2013 Wimpy Kid calendar signed (in silver, no less) by Jeff Kinney at ALA. That would be the centerpiece of the party that we would schedule on the eve of the book's publication. We downloaded the event kit from Abrams books to help us decide what games and activities to use at the party. They have always been generous in making bookstores and libraries look good with the latest trivia, games and puzzles. We chose the Shame Game and trivia from this year's event kit; downloaded masks from the Wimpy Kids Club and used the "Worm Chase" activity from a previous party (a picture of a worm colored by the kids and glued on a craft stick in honor of Rowley being accused of chasing kindergartners with a worm on a stick). It's not a Wimpy Kid party unless we take a toilet seat, prop it atop a wastebasket and let kids chuck mini-cereal boxes into it. And of course there were "Mom Bucks" aplenty that we made and gave out with abandon for any and no reason. 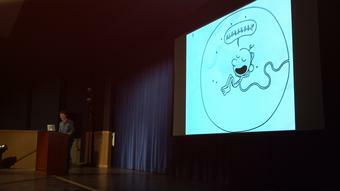 Best of all, School Library Journal and Abrams Books (bless their hearts) made a live webcast of Jeff Kinney available today at noon (our party started at 3pm). During the webcast, I took screen shots and made notes to share with the kids in a word doc. To start the party off, we spent 15 minutes just recapping what Jeff had said. The kids were rapt. The webcast should be available more widely in an archived version in a week or so. Finally, to the mad delight of the kids, we picked for the lucky winner of the calendar and six magnetic Wimpy kid bookmarks we had purchased. The rest of the kids received a ridiculous but highly prized monkey pen. Everybody was happy and books and literacy = fun won again! For other Wimpy Kid parties we've done, check here and here . Is the Manny Cereal Toss Game idea taken from a particular book in the series? I am having a Diary of a Wimpy Kid party at my library next week and was so excited to read your posting with the great ideas. Thanks so much. I've been using it awhile so first or second book for sure!